Bryce and Ashley Timberlines friend Jeff is dying, and his collection of autographed sports memorabilia has disappeared. While Bryce and Jeff attempt a 200-mile bike hike for cancer research, Ashley does a little research of her own. Can they track down the missing memorabilia before its too late? 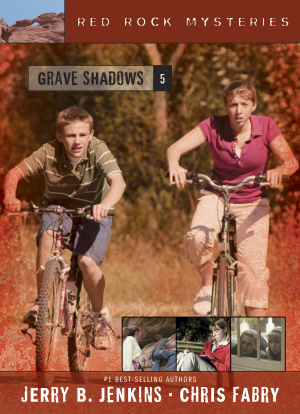 Grave Shadows by Jerry B. Jenkins;Chris Fabry was published by Tyndale House Publishers in September 2005 and is our 42140th best seller. The ISBN for Grave Shadows is 9781414301440. Be the first to review Grave Shadows! Got a question? No problem! Just click here to ask us about Grave Shadows.